Learn the name and important things about the sacred Hawaiian atolls and their surrounding waters. PLUS the First 20 Contributors of $30 or more will get an additional FREE “Honu and Hina” book signed to your loved ones with original drawings of Honu and Hina Inside! 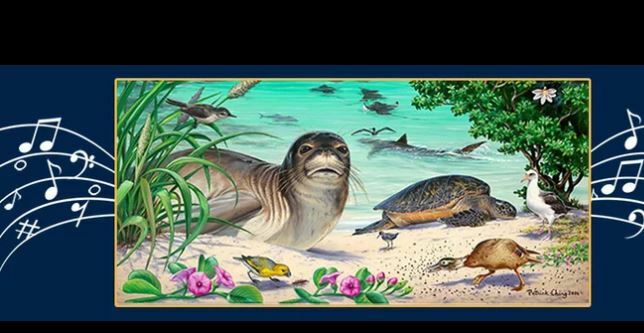 Patrick Ching has done so much for native wildlife and wild places in Hawaii in his career as a nature artist and other creative endeavors he has accomplished. He is seeking supporters for a new project he is working on to bring awareness to this very sacred and special place that we treasure so dearly. Please consider supporting his work in any amount that you can.